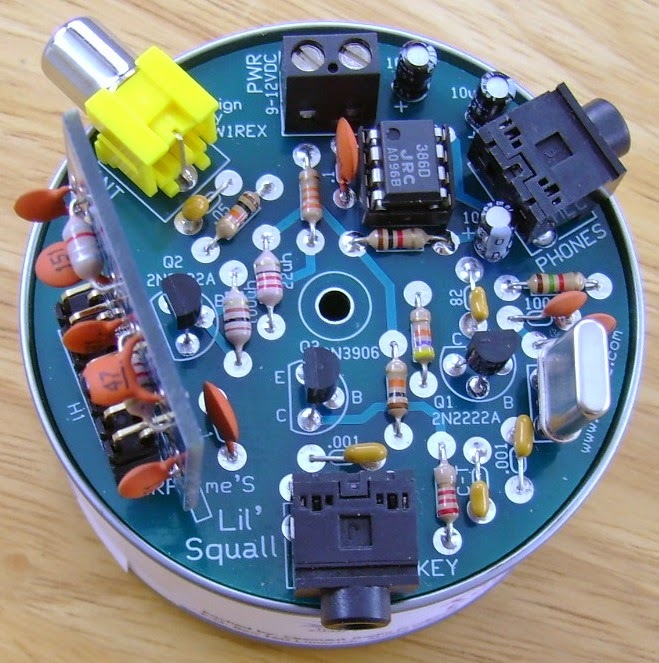 This is a very small volume of a simple 40 meter band micro-power amplitude telegraph transceiver, 9V square battery or external 7-12V DC power supply. This machine was first popular in foreign countries, after the introduction of domestic enthusiasts, and gave it a Chinese name —- ” Pixie”. Visit our Web site, you can see a more detailed explanation. See the last page of the document accompanying drawings, Q1 and surrounding components constituting a typical Colpitts oscillator and keeps oscillating (the oscillation signal leaks around 1mW) when receiving the local oscillator signal is directly coupled through a capacitor to Q2. Emission state (the key is pressed), Q2 as a class C amplifier, the amplified signal via 0.01uF capacitor coupled to a pi-type low-pass filter, and then sent to the antenna; reception state (key release), Q1 element around the beat oscillator (BFO), D2 coupled with high voltage and reduce capacitive pressure is increased with the ends of the DC, the local oscillation frequency can be increased to approximately 0-3KHz 7.023MHz reception signal can be easily carried out bats frequency. Q2 is biased in the non-linear region (think transistor is nothing more than two back-to-back second diode incorrect), the signal received by the antenna with the BFO signal mixer, mixing the audio signal obtained after the 0.1uF capacitor coupling posed to the LM386 audio power amplifier, the audio signal amplified by the 10uF capacitor across the LM386 5 feet straight evacuation headphones. 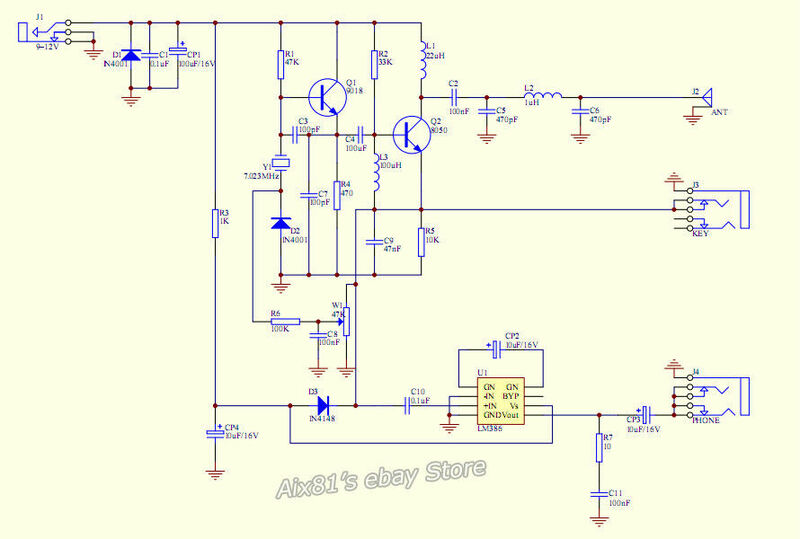 The key control not only the LM386-off of the power supply is switched D2 varactor bias, so that the capacity of the type of state change. 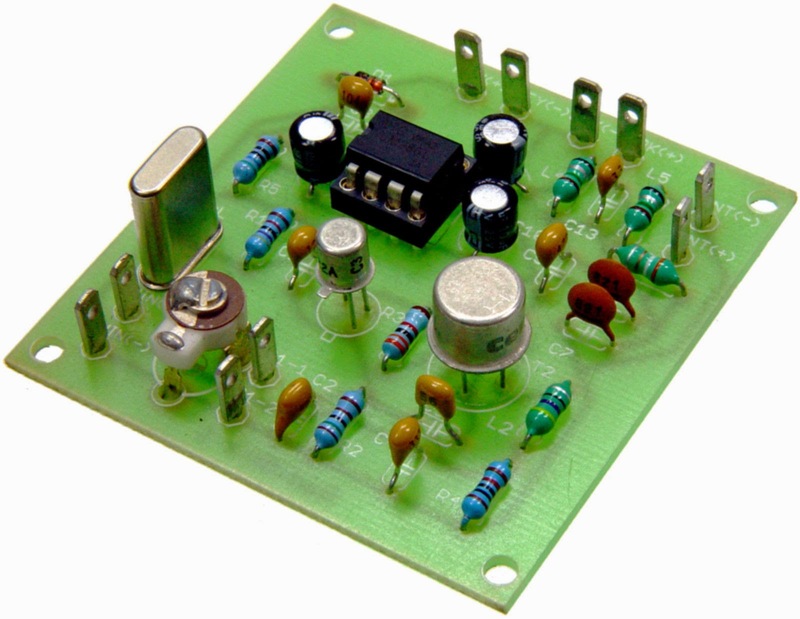 And then connected to the high-frequency power meter with a dummy load reference circuit diagram (above), the “KEY” at both ends of the short-circuited, the headphones should be quick and silent, high-frequency power meter output. Transmit state machine current 40-100mA. 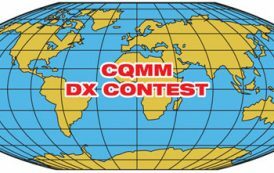 The launch 0.5 meters in the next put a shortwave / medium wave radio, check all the receive frequency range, in addition to the carrier frequency and multiplier should not hear the other signal generated by the “shoes”. For any other signal (howling), indicating the presence of high-frequency instabilities. Schedule gives a DC reference voltage of each of the main elements of the transmitting and receiving state. The absence of a simple high-frequency power meter, optional two machines on the hair, such as can normally receive another keying signal, that is, to determine the initial machine properly. Never without a dummy load or antenna to transmit signals directly to avoid damage to the circuit! Beautiful metal casing not only shoes considerably, and can effectively shield near interference. Optional shell a lot, for example, metal cans, aluminum boxes, medical elongated aluminum case. To pay attention in the choice of the box open as convenient as possible, because the battery run out need to be replaced. The confidential achieve better results, set up the antenna performance can not be less than the total length of the half-wave horizontal dipole antenna, in conjunction with the use of Simple Balun, (the antenna should be as far away as possible from sources of interference, such as fluorescent lamps, computer monitors, switching power supplies and other equipment , as far as possible with a coaxial cable as a feeder to reduce the possible receiving interference), using the highly sensitive Walkman headphones, as far as possible the small morning radio interference (especially weekends and holidays in the morning) or late at night to listen to the SSB signal and CW signal at the best possible sound (tone). Please refer to the map, the height of the device, the first low-high, the first years after the principle followed by the welding device. 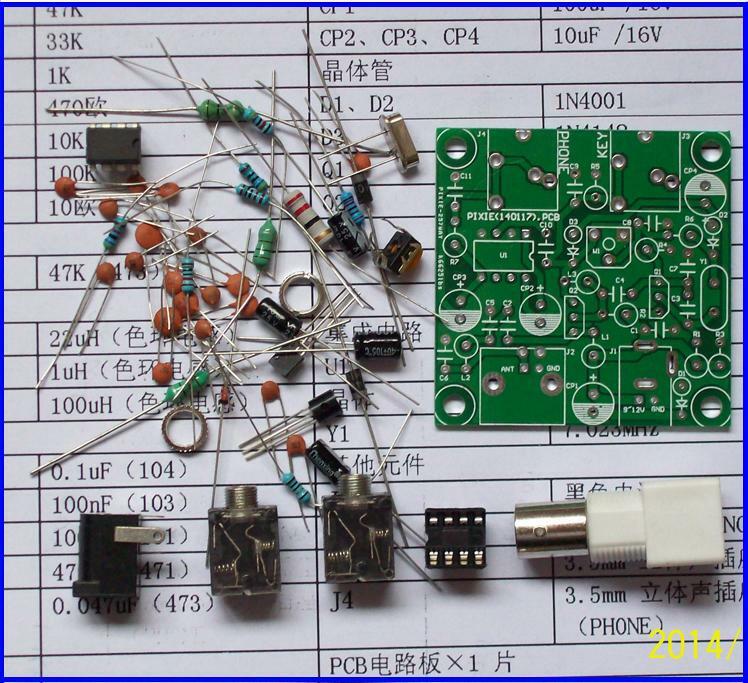 Read as follows: general pF capacitance of ceramic capacitors (10R -12 power F) units, some products using direct labeling, such as 1000p, 220p, etc. : more in exponential notation, such as: 102,221 the first two digits are significant figures of capacitance, after a number is followed by adding a zero number, such as 102 valid number is 10,2 indicates that the following Adds 2 0 1000pF; 221 means that the effective mathematical 2,1 followed by putting 1 0, i.e. 220pF. 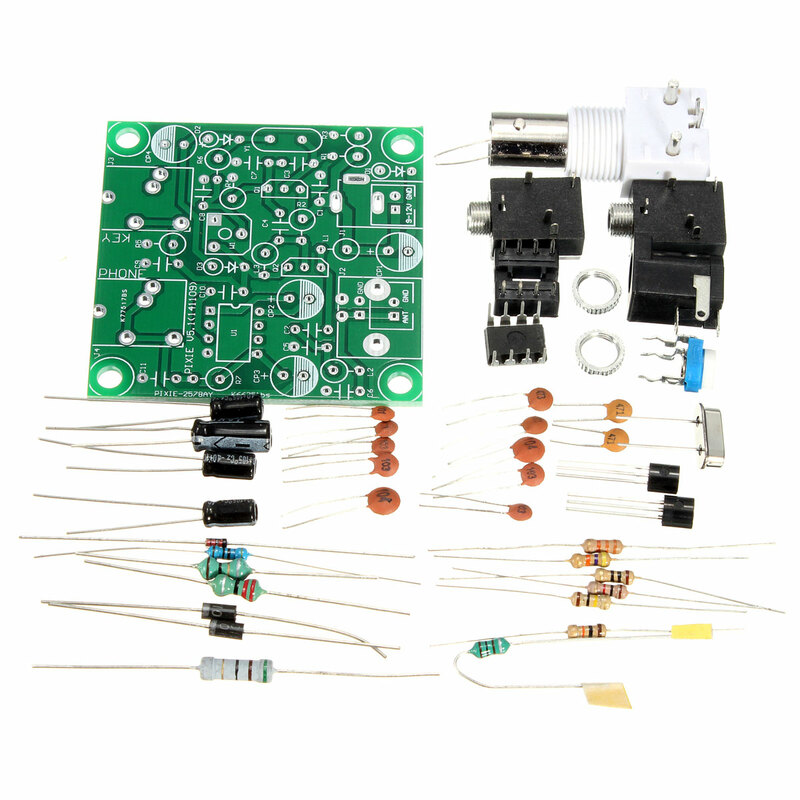 Electrolytic capacitor positive and negative polarity, insert the PCB board installation, make sure that the positive and negative corresponding correct, do not install the wrong.